I’m trying very hard to instil a love of travel into my daughter. My parents did it for me and I just want to pay it forward. They brought me all around the world to see different cultures that I feel that I have a very unique perspective because of it. 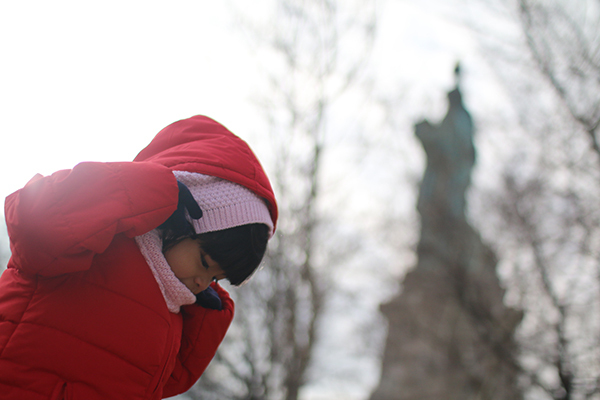 Right now, Athena is four years old and has been to six countries and I’m working hard to bring her to more. And so far, she seems to be enjoying it very much. Every time we start a new adventure, she gets so excited. When we return, she never stops talking about it. It’s pretty cool too to think that this will prepare her to have a more worldly view of things and to realise that there are so many things in the world to experience and see. The younger you start, the more influence it has on the mind and personality. And don’t think that a child is ever too young to start traveling. She may not remember every single detail of the trips that she has gone on, but she will remember the overall experience and that would already mean a deep influence in her. And the thing about traveling with a little kid (or kids), is that there really is no trouble at all. The kid will do her thing. When she’s hungry, she’ll eat. When she’s tired, she’ll sleep. And when she’s up, she just wants to have fun.